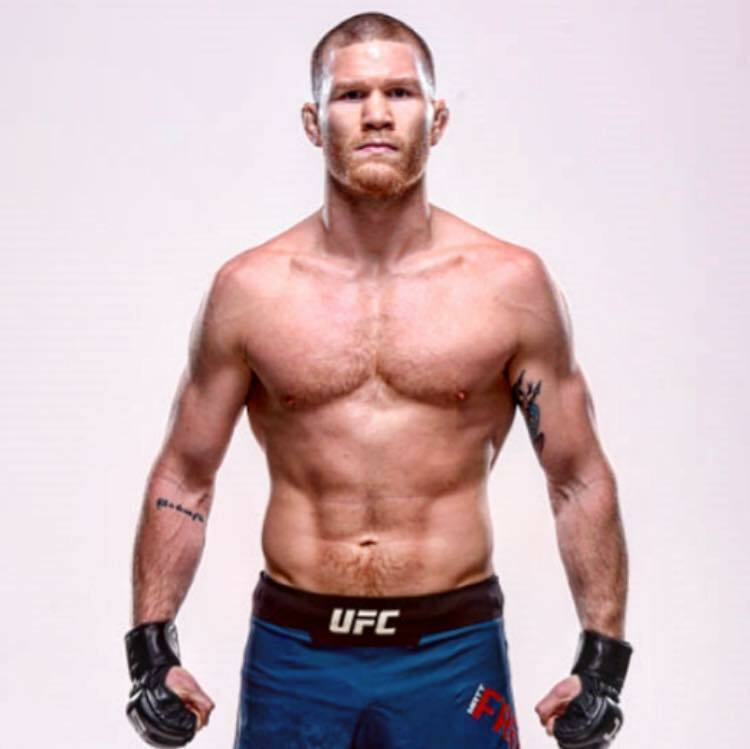 Fighting out of Huntington, New York, United States, Matt “The Steamrolla” Frevola, 28, was one of the winners at “UFC 236.” It was his first victory in the Ultimate Fighting Championship. Featuring 13 mixed martial arts matches, “UFC 236” took place at the State Farm Arena in Atlanta, Georgia, USA on April 13, 2019. In the eighth bout of the evening, Frevola competed in the lightweight division against Jalin “The Tarantula” Turner, 23, of San Bernandino, California, USA with Marc Goddard as the referee. After three five-minute rounds, the lightweight bout was left in the hands of the judges namely Will Fisher, Sal D’Amato and Derek Cleary. In the end, Goddard raised the hand of Frevola, who was declared the winner via unanimous decision. Fisher, D’Amato and Cleary unanimously scored the bout 30-27 in favor of Frevola. It was the fourth unanimous decision victory of the evening. Winning at “UFC 236” improved Frevola’s professional MMA record to 7 wins and 1 loss. On the other hand, Turner now has 8 wins and 5 losses. Frevola was born in Huntington on June 11, 1990. Training out of Serra-Longo Fight Team in Long Island, New York, he has been competing professionally as an MMA fighter since 2014. “UFC 236” marked Frevola’s third UFC bout. When he made his promotional debut at “UFC Fight Night 124” at the Scottrade Center in St. Louis, Missouri, USA on January 14, 2018, he was knocked out via punches by Polo “El Toro” Reyes, 34, of Tepic, Nayarit, Mexico. On November 3, 2018, Frevola competed in the UFC octagon for the second time. He faced Lando Vannata at “UFC 230” at the Madison Square Garden in New York City, New York in a bout that ended in a majority draw. Prior to “UFC Fight Night 124,” Frevola competed in “Dana White’s Tuesday Night Contender Series 8” on August 29, 2017 at the UFC Training Centre in Las Vegas, Nevada, USA. He submitted Jose “Luke” Flores, 31, of Mission, Texas, USA via arm-triangle choke.